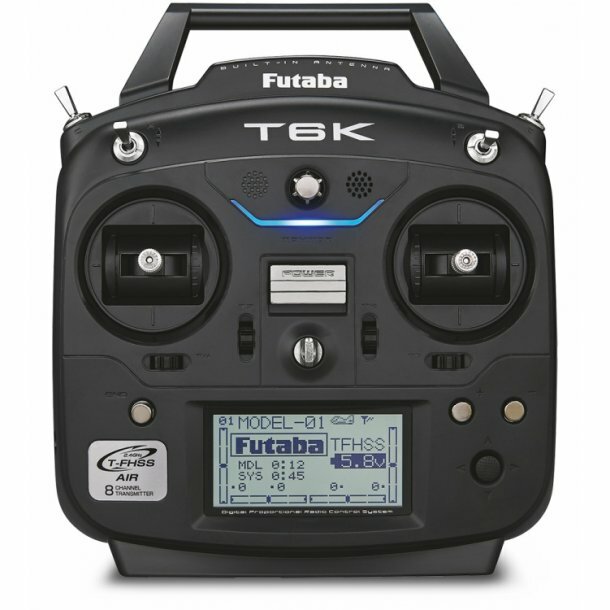 T6K Version 2 multicopter programming has been expanded with five Priority and nine Matrix flight conditions. he nine Matrix flight conditions can be used to set up a tilt camera by assigning nine settings to two 3-position switches. UPDATE YOUR T6K TO 8-CHANNELS! For T6K owners (with a 6-channel radio) - go to the downloads tab and download the latest 2.02 software upgrade to get two extra channels and a couple of more functions (like being able to use the telemetry current and voltage sensors)! Note you will need an PC and the CIU-3 USB interface to ugrade.